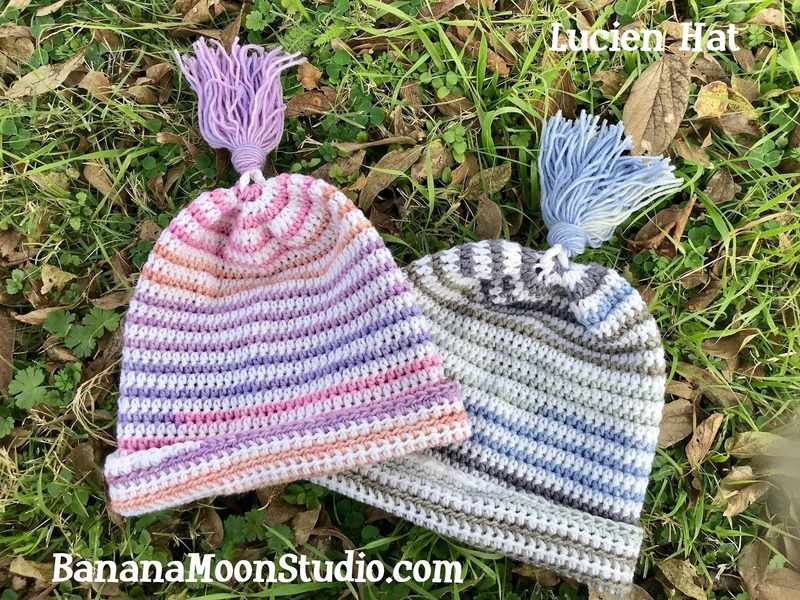 This is Lucien Hat. 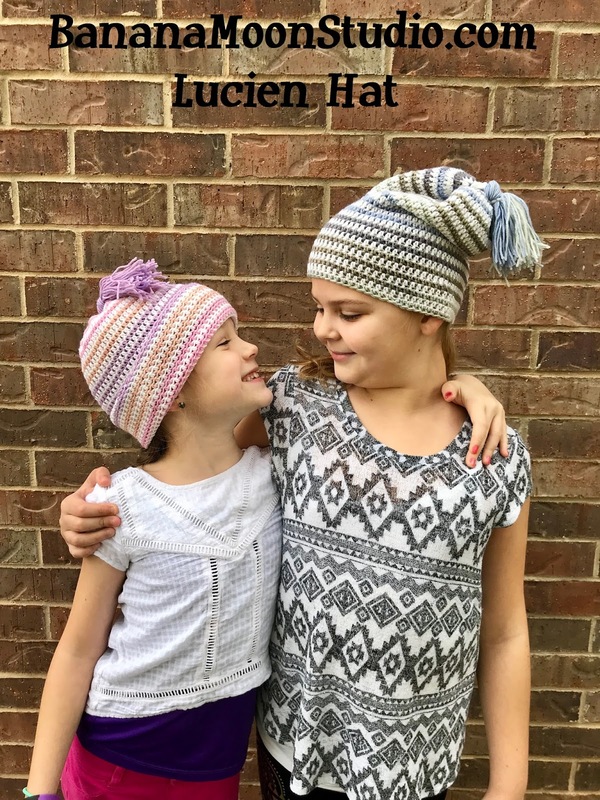 It is a slouchy hat at heart. A little silly and fun, with colorful stripes. The bottom edge can be folded up, however, in order to give it a more fitted look. *Some links in this post are affiliate links that will take you to another site. If you make a purchase on that site, I will earn a small commission at no additional cost to you. Thank you! The yarn used in this pattern is Cascade Yarns Longwood Sport (the solid white), and Cascade Yarns Longwood Sport Stripe (the color). The great thing about using the striping colorway, is that the color changes nicely as you come down the hat. 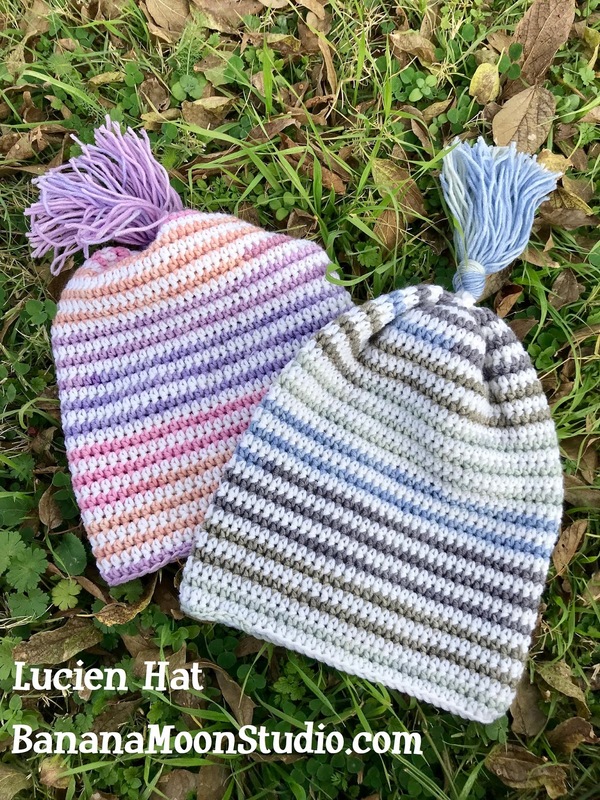 The two yarns are worked in a spiral from the top down, so there is no joining and turning, and no fastening off of colors, or making floats on the wrong side of the hat. Pretty clever of me to design it that way, huh?! (wink, wink). I decided to top this hat with a chunky tassel, and I love how the striping yarn made the tassel look, it’s multi-colored. I’ve written the pattern in two sizes: 14 and 17 1/2 inches (35.5 and 44.5 cm). It’s very stretchy! I was able to wear the 17 1/2 inch (44.5 cm) size myself, and my head circumference is 22 1/2 inches (57 cm)! So, you can choose a size that is up to 5 inches (13 cm) smaller around than the wearer’s head circumference. If you still want a larger size, it will be easy to add in a few more increases in round 4 of the pattern instructions. This great pattern is available on Ravelry, Etsy, and LoveCrochet. 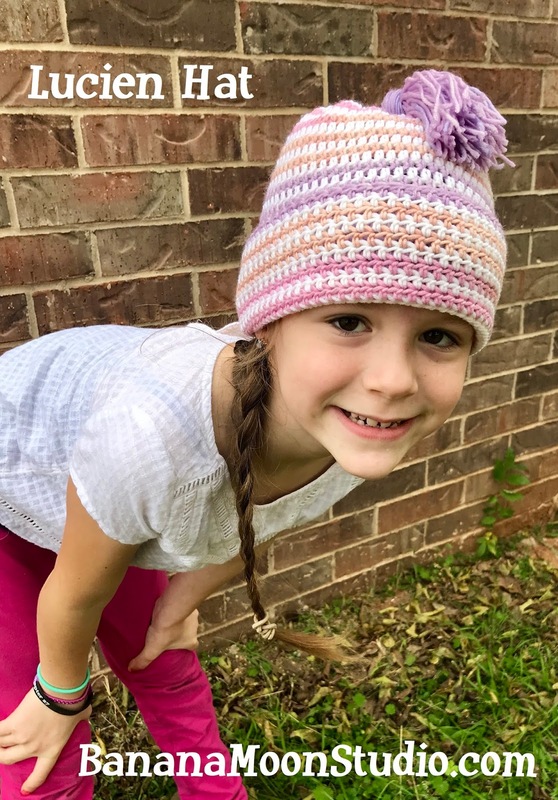 I’ve made a tutorial video for this hat pattern, so that you can learn how to start a spiral. It can be a little tricky, because you don’t join and turn rounds the way we crocheters are used to. If you’ve never crocheted in a spiral before, I suggest you check out my tutorial. See it here! 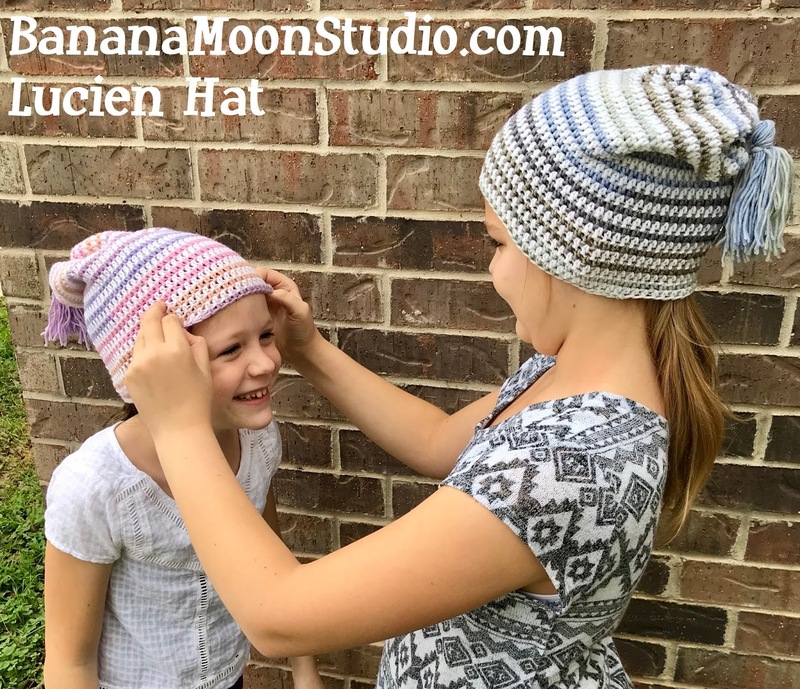 Never miss a new pattern from Banana Moon Studio! Subscribe to my newsletter! You get two free patterns right away, and a newsletter with my latest patterns and tutorials. Each newsletter also includes a coupon code for 50% off that month’s featured pattern! As always I’d also love for you to follow me on Facebook, Instagram, Twitter, and Pinterest. I hope to see you around!